It is time to build capabilities in ERP System. It is a comprehensive introductory course for Microsoft Dynamics 365, Enterprise Edition. Purpose of this workshop is to equip people with the skills that are highly demanded in the job market. Medium & Large Enterprises are rigorously looking for talent that can work on cloud-based intelligent business applications and hence it is time to get your hands on Microsoft Dynamics 365 (Next Generation – Cloud-based Intelligent Business Application). Dynamics 365 brings together the most popular features of Customer Relationship Management (CRM) and Enterprise Resource Planning (ERP) in a single solution that can be accessed from anywhere and anytime. You all are very aware about the digital revolution, and if you want to get edge in the job market, you need to learn how these business intelligent system works. Course will cover key functions and modules of ERP system including Finance, Supply Chain, operations, Project Automation, Field services, Marketing, Customer Services, and Human Capital Management. It is time for you to explore the use of standard workflows and reporting for business processes. 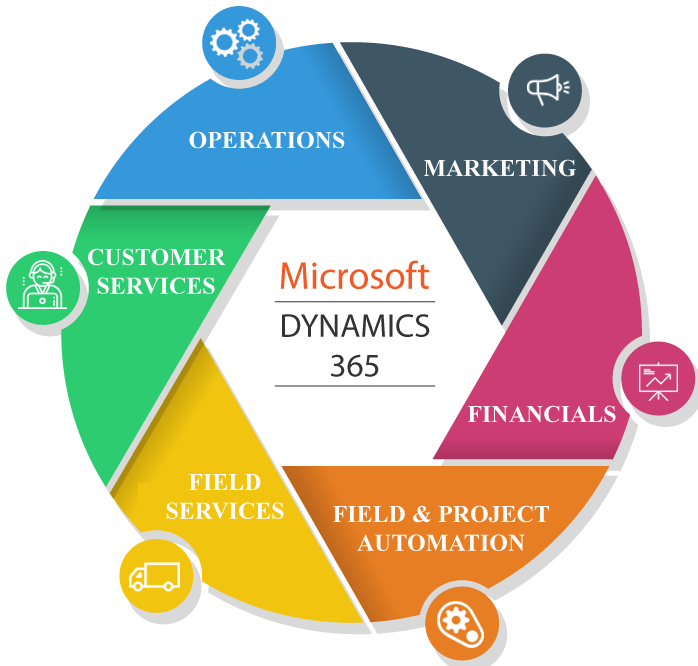 Learn about the broad functionality that is provided in Microsoft Dynamics 365.